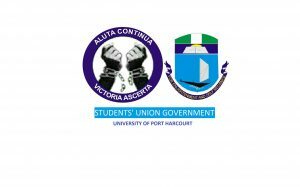 The deadline of school fees payment in the University of Port Harcourt was a case of concern to the students. Watch the queue at a bank on campus and see the reaction of unique uniport students. Many thanks for being our coach on this issue. We enjoyed your own article very much and most of all cherished how you really handled the issues I widely known as cotnaoversirl. You happen to be always incredibly kind towards readers like me and let me in my everyday living. Thank you. IÂ¡Â¦ve been exploring for a bit for any high quality articles or weblog posts in this sort of house . Exploring in Yahoo I at last stumbled upon this web site. Reading this information So iÂ¡Â¦m satisfied to convey that I’ve an incredibly just right uncanny feeling I found out exactly what I needed. I most certainly will make sure to donÂ¡Â¦t overlook this web site and provides it a glance regularly.